The new year is here, and as far as we’re concerned, this month is all about friendship, PANDORA style of course. In honor of your eternal bond with your bestie, PANDORA has launched a series of charms and other products that show what true friendship means. As the go-to supplier of bracelets, charms, necklaces and PANDORA rings in Skippack, PA, rest assured we carry everything in PANDORA’s friendship collection. Here are a few of our favorite picks (a full list can be found farther below). What shows the eternality of love more than a heart and an infinity symbol? Nothing of course. PANDORA combines these symbols together to give you a great way to show a friend how much she means to you in a simple, yet utterly elegant way. 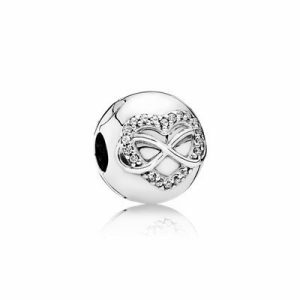 Place it all on a beautiful sterling silver clip, and you get the Infinity Heart: a stylish way to ensure a never ending friendship. Want something other than charms to show your love for a friend? How about these stunning earrings instead? 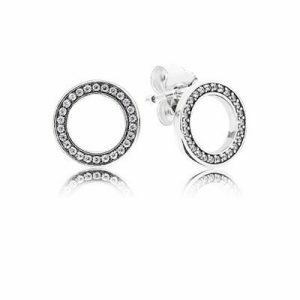 These sterling silver clear studs featuring a set of micro-bead cubic zirconia convey the epitome of elegant, all offered at an affordable price. A true friendship withstands the test of time. Through thick and thin, good, bad and the ups and downs, at least we can count on the ones who are truly always there for us—our friends. You know you don’t have to tell your best friend how meaningful she is to you because you share a bond that can’t be placed into words. 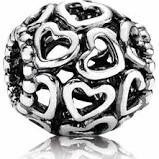 But it never hurts to accent that sentiment with some great PANDORA jewelry! Swing by our Skippack, PA store full of PANDORA rings, charms, bracelets and necklaces, and we’ll help you pick out something special for your best friend.